Submarines operating in south-east Asia are facing higher rates of collision than other parts of the globe, a 31-year Royal Australian Navy veteran has warned. Secretary of Submarine Institute of Australia (SIA) Frank Owen has told the Regional Maritime Security Outlook 2018 conference that the ongoing tensions and disputes in the South China Sea, one of the busiest areas for maritime activity, are enhancing the risk of collisions in south-east Asia. "In a region where there are so many disputed claims on offshore territory, ownership of submarines gets a nation that might otherwise not be considered worthy to the negotiating table," Owen argued in his presentation. "In a region where tensions are rising over claims, and where many nations are only now acquiring submarines, south-east Asia lacks the international agreements that have generally been adopted in the rest of the world that provides for a system to prevent mutual interference." Owen argued that without the establishment of a south-east Asian version of North Atlantic Treaty Organisation, the risks for submarine operators within south-east Asia will continue grow. "In European waters, with the significant exception of Russia, most of the submarine operators are part of the North Atlantic Treaty Organisation and the waterspace is managed by that organisation and the US Navy. With no similar organisation, the newer south-east Asian submarine operators (all strongly independent for the very reasons described earlier) face much higher risks of submarine-submarine collisions," he said. The RAN veteran praised the steps Singapore has taken in establishing the Safety Information Portal and endorsement of the adoption of the Code for Unplanned Encounters at Sea, but cautioned that without similar initiatives by other countries in the region, tragedy could be on the horizon. "Its recent establishment of the Safety Information Portal and endorsement of the adoption of the Code for Unplanned Encounters at Sea are very worthy initiatives, especially for surface ships," he said. 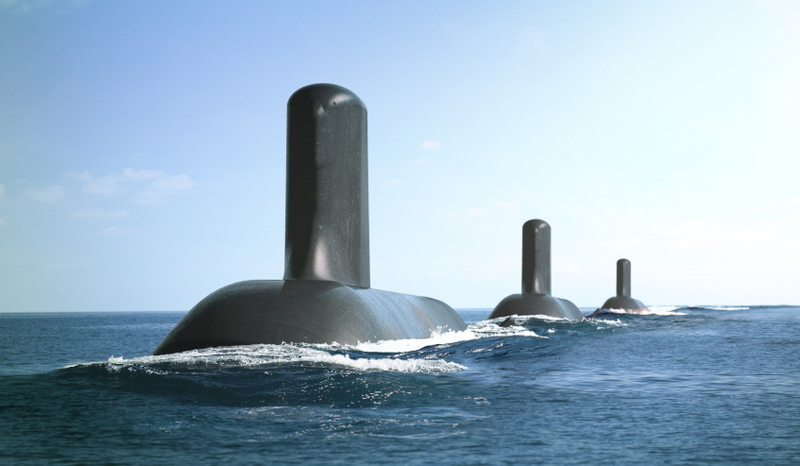 "The challenge is to translate these initiatives for submarines while recognising that compliance may compromise the stealth of a submarine. Even in peacetime, this may be a bridge too far." Owen's full presentation to the Regional Maritime Security Outlook 2018 conference can be accessed on the SIA website.